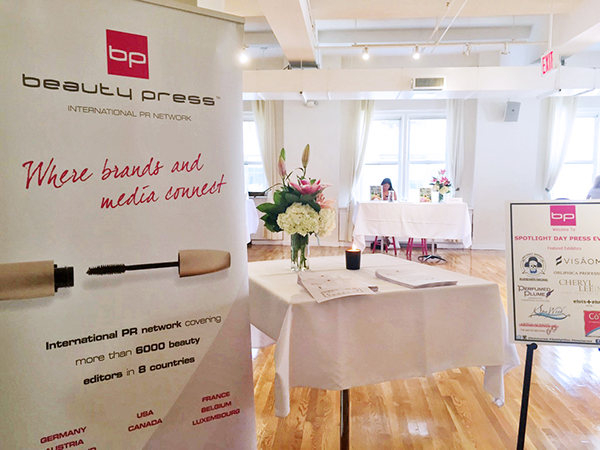 Last Tuesday I had the pleasure of attending the final beautypress Spotlight Day of 2015. 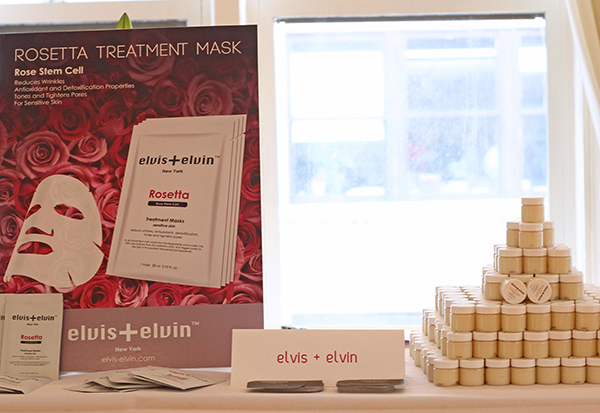 This media showcase featured a diverse group of skin care, hair care, cosmetics and fragrance brands. The bright and airy Midtown Loft & Terrace provided a perfect setting to discover and connect. Here is a brief introduction of the exhibitors I was introduced to. Spa Week is a national event from October 12 - 18 that brings affordable spa treatments to the masses at hundreds of health and wellness facilities across the country. Take advantage of signature spa treatments (regularly $100 - $500) at a special rate of $50 at participating spas (day, medical and resort) yoga and pilates studios, fitness and nutrition centers. Appointments can be booked starting September 9th on SpaWeek.com where you can also see the full list of participating spas. This is the perfect time to treat yourself or give a gift of wellness by purchasing a Spa Wellness Gift Card which may be used during Spa week or any time of the year without expiration. Arts&Scents is a German based company that creates unique fragrances by combining the classical European tradition of perfume and craftsmanship with modern art and design elements. 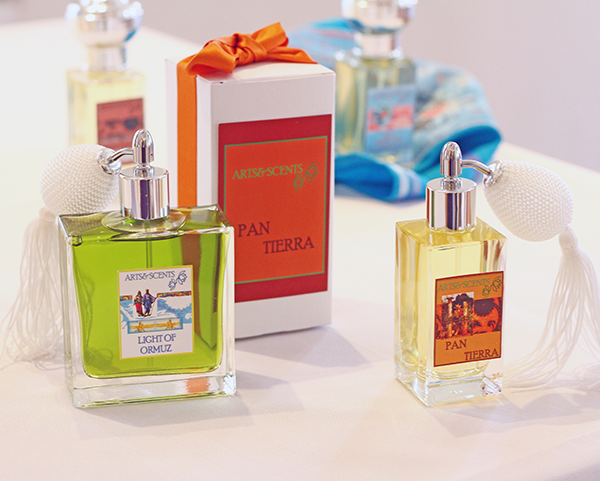 Their perfumes have a high concentration of fragrance contain no artificial preservatives or chemical additives. 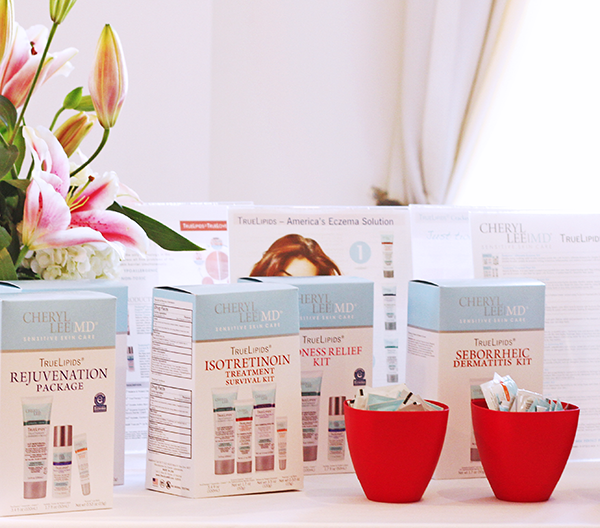 CherylLeeMD Sensitive Skin Care offers an "Intelligent Skin Care" approach with it's TrueLipids products and provides global skin barrier optimization through an effective use of patent pending technology. As the most useful and multitasking line of skin care products on the market, TrueLipids contains anti-aging formulations and answers for redness, dry skin, enlarged pores, excess oil, irritation and allergy, bringing new meaning to hypoallergenic non-toxic skin care. 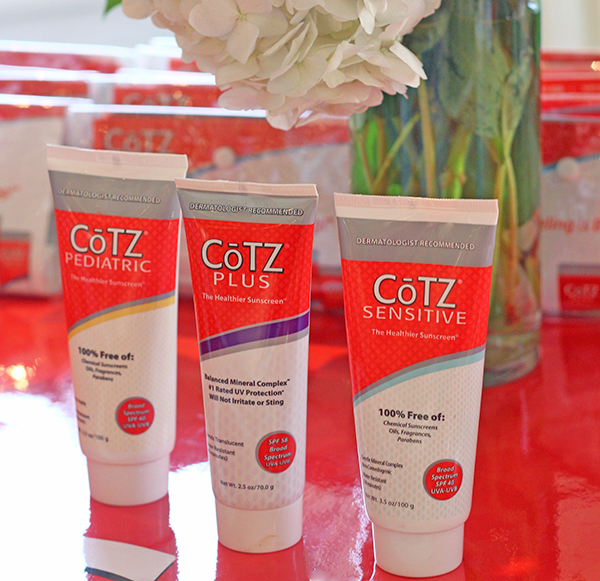 CōTZ was created in 1989 to provide a healthier sunscreen, people would actually love to wear because it feels great. CōTZ sunscreens sit invisibly on top of the skin and functions like thousands of mirrors to deflect UVA/UVB rays before they can penetrate the skin. CōTZ contains a balanced mineral complex that is 100% free of oils, fragrances, preservatives, parabens, PABA, gluten and pthalates. A brand of high quality luxurious products ranging from skincare, makeup, fragrance, body and haircare launched by Victoria Leung in 2014. The products are made with the greatest care in small batches and packaged by hand. Engineered on a powerful, anti-inflammatory platform, VisãoMD medical grade skin care is formulated to improve mild to severe skin conditions such as aging, pigment, texture, rosacea and acne at the root cause. Each product offers "power of 12" repair which delivers at least 12 bio-functional ingredients in one application. 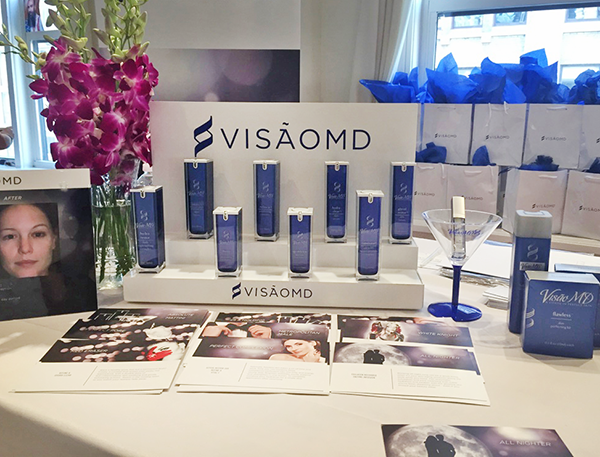 VisãoMD administers personalized product therapy based on targeted skincare needs through a proprietary technology know as the Skin Care Cocktail that not only super charge overall results but offer mixology of two or more products for an easy, one step application. Since 2005, Bluebeards has specialized in a line of beard care products including beard wash, beard conditioner and beard lotion to help maintain facial hair. Their beard care products which are always tested on real beards, are formulated to cure beard itch, make tough beards manageable and leave skin and facial hair smooth, healthy and smelling great. Do any of these brands/products sound interesting to you? Ohlala, how fun! Thanks for the tip about Spa Week coming up - a massage sounds up my alley. Also, I'd look into some of these skincare brands but I feel like I have my hands full already with the crazy number of Korean skincare brands out there. That's a lot of skincare choices you just through out there. I've been suffering from skin problems for a long time, so I might look into some of these products. All of these brands sound interesting, honestly, but I'd say that the VisaoMD range piqued my interest the most. 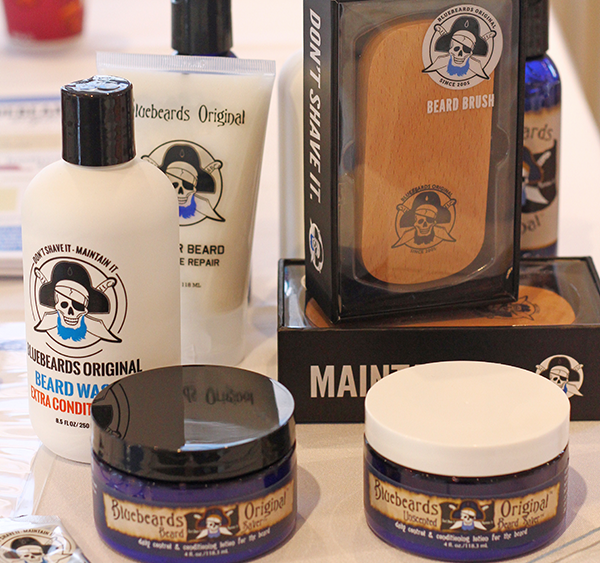 I've not heard of any brand that specializes in bearcare, so BlueBeards was pleasantly surprising, too! This must have been a wonderful event to attend to. I've had a horrible day today and wouldn't mind some pampering. I find all of them very interessting, except from the last one because I don't have a beard but I do think that there is place for bluebeard on the market because beards are becoming very trendy with men. I'm not a fan of facial hair, but it is always nice to see somebody do something they want and feel comfortable with, so I'm not against beards even if I honestly don't like beards on most men. Fortunately my husband doesn't plan to grow one anytime soon:)! Most of these products does sound fantastic. It is amazing how far the beauty and care skin products have come! everyday there is some new product, new treatment...it's great. Someday we might all really have perfect skin. I will love to try the treatment mask that sound so relaxing after a stressful day. Wow, Great event and Interesting beauty products!!!! what a lovely event! i loved your recap. Sounds like it was an amazing event, Rowena. They all sound interesting, well except the beard one, lol. I would love to try any of them. Happy Monday, girl. This is a gorgeous event because it's such a good introduction to brands that I have never heard of. I really like CōTZ, never heard a sunscreen like that before and that really piqued my curiosity. Looks like a very nice event. I love their set up. Bluebeards is such a funny, but I'm guessing much needed line for that segment! I remember Spa Week and had a certificate to one of their spas a few years ago. I'm curious about CoTZ now. Thanks for the review! Sorry for being MIA. Life has been insane personally and professionally but I'm glad i could pop by! 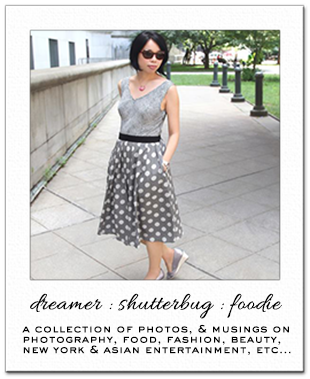 What a great roundup Rowena! I've never heard of these brands, but I think it's awesome to be introduced to them. Sounds great! A nice event to discover interesting brands. I hadn't heard of any before yet. It always makes taking photos so easy when you have such a bright setting. Looks like a great event. Ooo that Visomd sounds GREAT, and Spa Week, how have not heard of this? THANKS for the heads up!! The perfumes from Arts&Scents sound lovely! Looks like a great event. I would like to try a product from Arts&Scents. 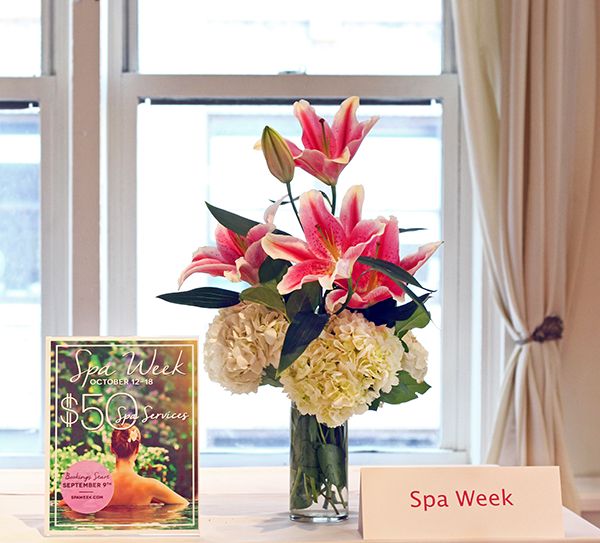 Spa Week sounds all kinds of amazing! This event looks so fun! All of the products have beautiful packaging. Wonderful event to get to know all those exhibitors at one place, Rowena! So many multitasking high quality products, even for the men! Mus have been the beauty heaven in NYC! :) Lovely and clean presentation! Looks like a great kind of event to get to know more beauty brands. I have not heard of any of the brands here but it sounds like quite some TLC sort of beauty brands here. The one that got me curious is the last one, Bluebeards. I never knew that there is such brand that caters to even such needs. Why didn't I think of that, huh? Cool. An eye opener for me, haha. Enjoy the rest of your week, Rowena! They all sound interesting to me, but again I've never heard of any of them. So thanks for the introduction! I would love to attend the spa week, haha.